Since our firm was founded in 1979 (our first auction had 120 cars), Silver Auctions has had one simple goal: to be the best collector car auction company in the business. From that modest beginning, we now produce 12-14 auctions a year in 10 Western States and Canada. Some are small and some big (Seattle, Washington, Portland, Oregon, Jackson Hole, Wyoming, Sun Valley, Idaho). Some are enormous. 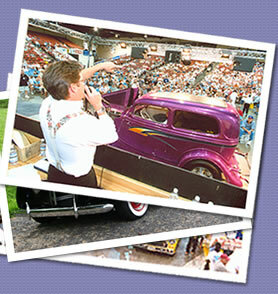 (21 years of conducting the Big Reno Auction in Reno from 1990 to 2010 and the Fort McDowell Auction in Arizona). We believe in straight talk with our customers. If you're selling a car, we'll give you a frank estimate of what we believe it will bring ­ not an inflated figure just so you'll put your car in an auction. We won't knowingly allow a car to be misrepresented as something it's not. We won't make unsupported claims when a car reaches the block. We're not the most expensive collector car auction company and we're not the cheapest. We believe we offer good value for the money. 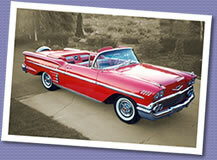 Most of our auctions have entry fees of $100 and $150 and commissions of 5 or 8 percent if the car is sold. If any buyer or seller has a problem with a transaction they completed through Silver Auctions, we have a simple promise: We will do our best to make it right. We check Vehicle Identification Numbers and titles before auctions to make sure they're correct. We require sellers to give, in writing, an accurate indication of their vehicle's mechanical condition. We provide plenty of time for potential buyers to examine cars before they reach the auction block. We go where the cars are, which might mean an undiscovered city like Pasco, Washington, or a high-profile auto-Mecca like Jackson Hole or Sun Valley. We pioneered Premiere Auctions in resort settings, which not only produce high prices for sellers but provide a great excuse for a weekend getaway. When you call Silver Auctions to talk about cars, you'll be talking to an expert, not a high-pressure salesman trying to collect a commission. 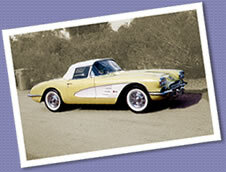 Almost all our employees have auto-related backgrounds and are collectors themselves. Our auctioneers are all trained exclusively in the business of selling collector cars, and they know what it takes to make a sale successful and fun for everyone. 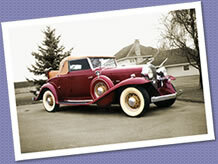 If you'd like to know what your collector car might be worth, give us a call. Our finger is on the pulse of the auto market. Within minutes, we can usually give you a ballpark estimate of a car's value (and we'll give you a much more accurate estimate when you check in your vehicle before an auction). For most cars we can come within a few hundred dollars of its selling price and if we don't know, we'll call around the country to find out. There's never any obligation. At Silver Auctions, our phone is answered by real people. Our experienced auction staff treat you like a person ­ not a number ­ when you call or bring in your car for an auction. We are a service business, whether it's ensuring a smooth sale, offering advice on topics ranging from emissions regulations to missing titles, or just talking about collector cars, we are truly at your service. The Market Report we offer is an example of our commitment to communicate with customers. Our listings are an accurate ­ no-hype report on prices of cars that we have actually sold. We offer advice for both buyers and sellers on how to prepare for auctions. We profile newer cars that we think are likely to become collectibles. We encourage letters. The more our customers know about collector cars and collector car auctions, the more confident we are that you'll want to do business with Silver Auctions.